This course is suitable for students who are considering a career in all aspects of nursing and caring. The purpose of the course is to provide students with a clear understanding of the academic requirements and personal qualities and characteristics necessary for a successful career in nursing. The purpose of this award is to enable the learner to acquire the knowledge, skill and competence to work under supervision in a variety of health care settings and or to progress to further and or higher education training. 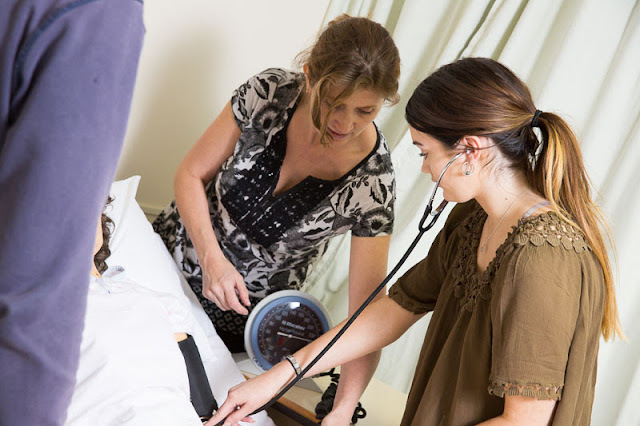 The course combines a wide range of modules designed to give students an overview of topics required for nursing, with a work placement element, which students arrange in a health care setting of their choice. Students are provided with a unique insight into the diversity of a career in nursing and caring. The course also prepares students for degree courses, interviews and career progression. Elsewhere: A full FETAC/QQI award in Nursing Studies is now recognised as an entry route into nurse degree programmes in Institutes of Technology and Universities in Ireland. Graduates of this course have been successful in gaining entry to nurse training in Ireland and the UK. In addition to the opportunities for study in Irish Universities, Cavan Institute has contact with UK based universities and supports students with their UCAS application process.